In the years 1973–77 Professor Zybertowicz studied history with a specialty in archival science at NCU in Toruń and Adam Mickiewicz University (AMU) in Poznań. He has associated himself with NCU in Toruń since the beginning of this scientific work in 1977 where he worked initially in the Department of Philosophy of the Social Science Institute and then from 1989 to 1995 in the Department of Sociology. Since 1995 he has been working in the Institute of Sociology. In 1985 he earned a Ph.D. in historical methodology at the Faculty of History at AMU. He completed his habilitation (post-doctoral) dissertation in sociology at University of Warsaw’s Philosophy and Sociology Faculty in 1997. Before that, in the late 1980s and early 1990s, he was awarded visit scholarships at the universities in Oxford, Cambridge, Sydney, and Ann Arbor . He gave guest lectures, presented conference papers and participated in international seminars in Australia, Montenegro, Spain, the Netherlands, Yugoslavia, Canada, Lithuania, Germany, Norway, Russia, Romania, Switzerland, Ukraine, the USA, Hungary, and the United Kingdom. In the years 1998–2006 he was the Director of the Institute of Sociology at NCU. Between 2003 and 2006, he was also a member of the Science Studies Committee of the Polish Academy of Sciences. Since 2003 he has been an expert at the Foundation for Polish Science. Since 2004 he has been heading the IS’s Group Interests Department at NCU. He chaired the Local Organising Committee of the 7th Congress of the European Sociological Association (ESA), which was held in Toruń in September 2005. In 2006 he established a Postgraduate Study Programme in Internal Security Sociology. In July 2007 he was appointed the National Security Adviser by the Prime Minister Jarosław Kaczynski, holding the position until November 2007. Since January 2008 he has been the State Security Adviser to the President of the Republic of Poland. 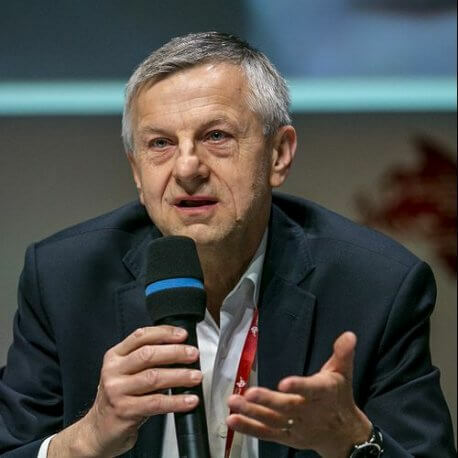 Since the mid-1990s he has been commenting on social and political developments in Polish regional and national printed and electronic media. He co-authored the book “Samóbójstwo Oświecenia? Jak neuronauka i nowe technologie pustoszą ludzki świat”(Suicide of Enlightenment? How neuroscience and new technologies devastate human world).